This Joseon era conman is not simply offering his mark a reasonably priced bridge. He will sell him the whole river. Of course, he will act like he doesn’t want to sell, because like they say in The Flim-Flam Man: “you can’t cheat an honest man.” The treasonous governor of Pyongyang is as dishonest as they come. Yes, he is from the North and he has allied himself with Qing China. He is asking for it and Kim Seon-dal is just the man to take it all from him in Park Dae-min’s Seondal: The Man Who Sells the River (trailer here), which opens this Friday in Los Angeles. When Kim first met his accomplices Bo-won (no surname he claims, with pride) and Gyeon, they were slaves sold to the Chinese army by Governor Sung Dae-ryeon. Faking their deaths on the battlefield, the trio returned to Korea, where Kim and Bo-won launch a string of highly embarrassing confidence schemes. They even make off with a generous helping of King Hyojong’s gold—as in the King of all Joseon. 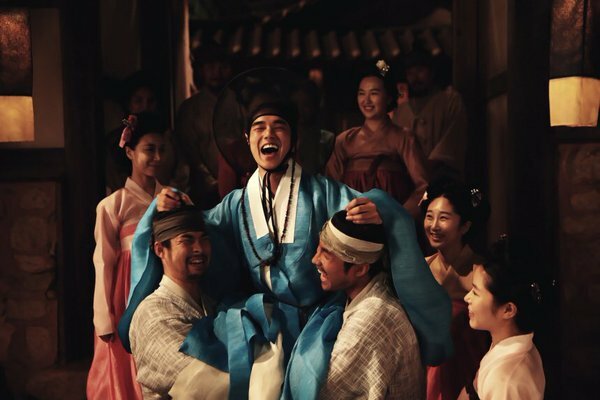 They do their best to keep the naïve Gyeon at arm’s length from danger, but their efforts backfire when they try to heist a large shipment of Sung’s tobacco. Kim and Bo-won will target Sung again with their next scheme, but this time it will be personal. However, they can find plenty of allies in the subsistence farmers he dispossessed to make room for more tobacco fields. About the only thing that interests Sung more than tobacco would be gold. Oddly enough, a mysterious young scholar and his manservant seem to think the River Daedong is loaded with the stuff and he claims to hold the title. If Richard Lester had directed The Sting in between his Three Musketeers movies, the vibe would probably be similar to Seondal. They are plenty of twists and small cons abetting larger cons. There is also a spot of swashbuckling and a passion for justice, administered Robin Hood-style. Ko Chang-seok’s Bo-won is definitely in the comic relief business, but he never overindulges in shtick. He is much more in the bickering odd couple tradition than the rubber-faced slapstick that marred the otherwise entertaining The Pirates. Arguably, the twentysomething Yoo Seung-ho does not look seasoned enough for a picaresque rogue like Kim, but he still develops some appealing buddy chemistry with Ko. On the other side of ledger, Cho Jae-hyun has Darth Vader-like presence as the thoroughly evil Sung. The audience wants to see him fall—hard. Despite the first and second act injustices, Seondal is a breezily enjoyable film. It is probably about as historically accurate as Mel Brooks’ History of the World Part I, but it neatly mashes together elements from heist and big con movies, adding some spectacle for good measure. 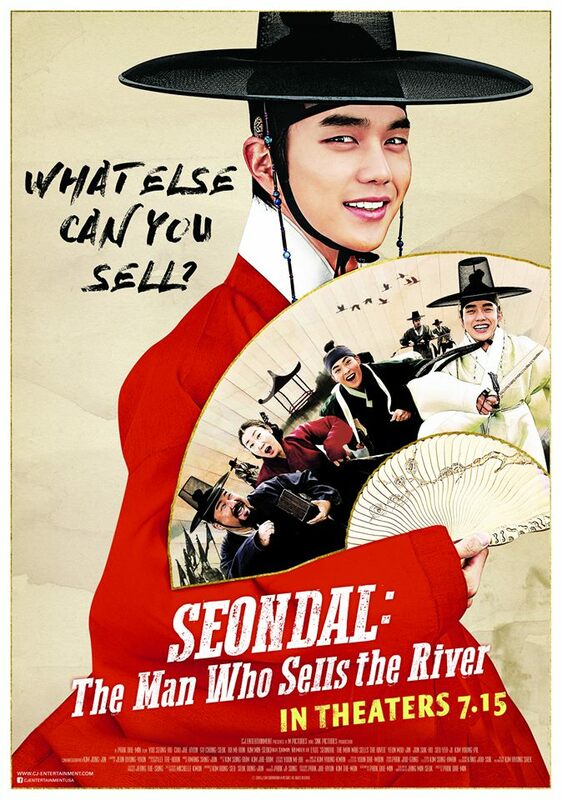 Recommended as a satisfying summer movie, Seondal: The Man Who Sells the River opens this Friday (7/15) in LA at the CGV Cinemas and in Jersey at the Edgewater Multiplex.